Hi everyone, I know I have been the worst when it comes to continuity! The sudden decrease in spare time and increase in energy expenditure caught me completely off guard BUT I do love blogging and I promise to be more punctual with posts from now on! Here’s some photographic evidence of my attempt to try nail marbling. I chose tropical colours to help me stay in the summer mood. 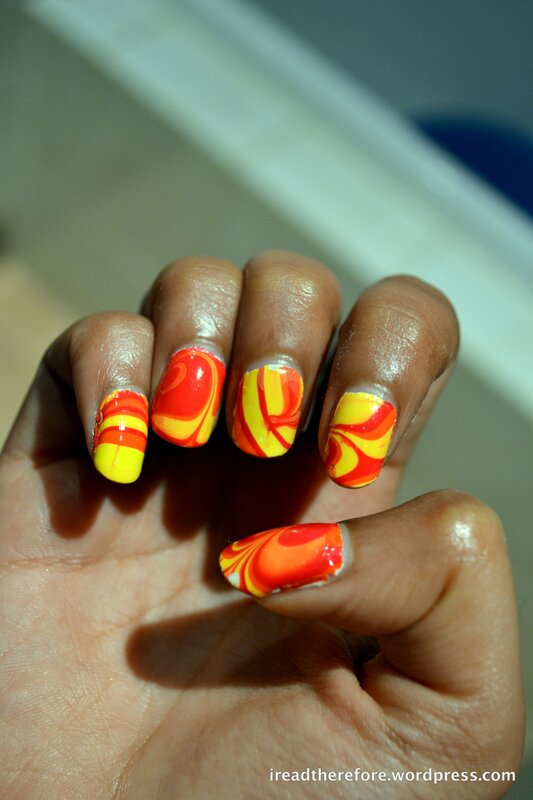 If you have tried marbling before, you’ll know how time consuming it is! This process took me a good 80 mins, which is why this is my first and only attempt so far. Clearly, its far from perfect – the white base is still peeking through and there is some smudging from when I applied a top coat. It’s good to be back! Stay tuned for much more fun stuff, dear readers! It’s almost Christmas! Of all the many wonderful things associated with the holiday season, one of my favourites is the festive decoration. 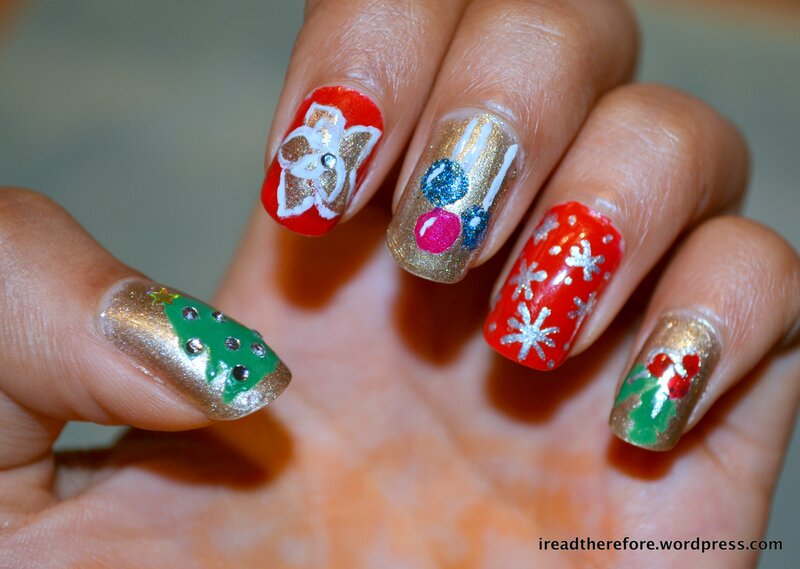 Since I won’t be home for Christmas, I decided to put up some decorations anyway…on my nails! Apparently the sparkliness of the rhinestones made it impossible for my camera to focus properly – I apologise. 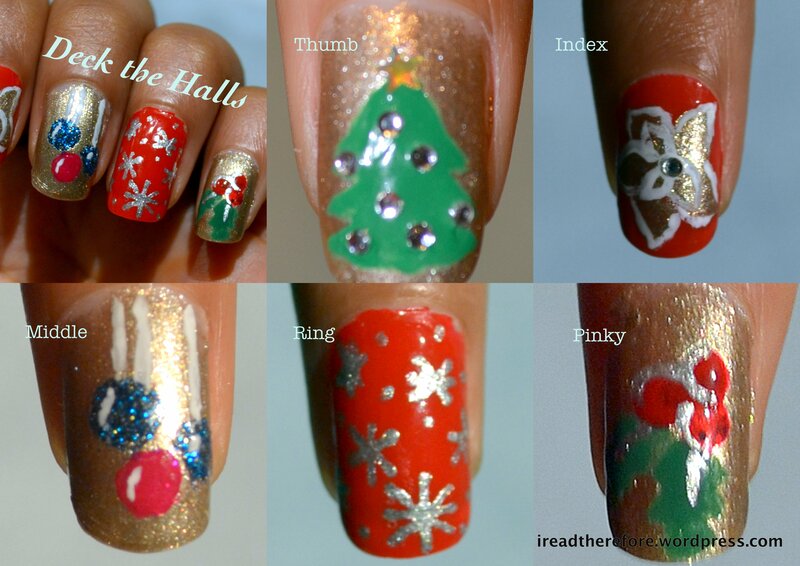 I do love this manicure, its like having a Christmas tree on my fingers!!! 2. 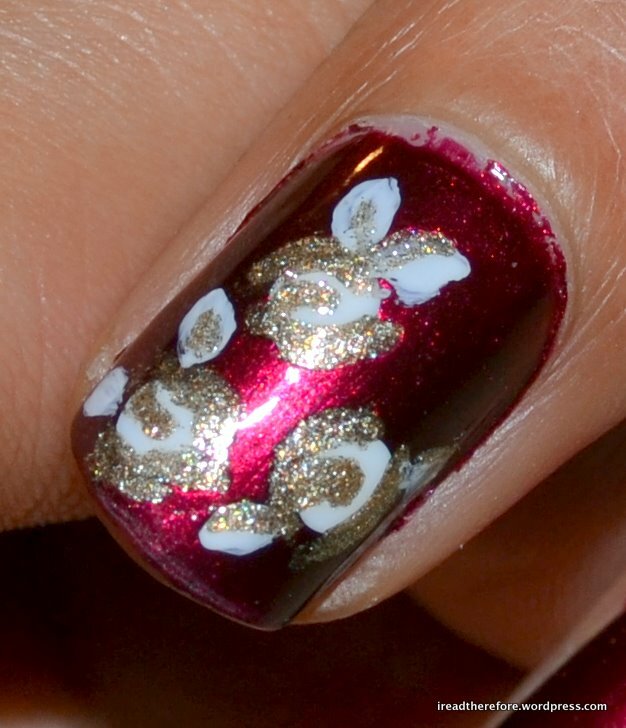 Index: Base colour using essie Lollipop, poinsettia using OPI Glitzerland, outlining using essie Blanc. Rhinestone from Skin Food. 3. Middle: Base colour using OPI Glitzerland. Christmas baubles using OPI Absolutely Alice and essie Super Bossa Nova. 4. Ring: Base colour using essie Lollipop. Snowflakes created using Etude (Korean brand) silver nail pen. 5. Pinky: Base colour using OPI Glitzerland. Holly created using essie Lollipop, Pretty Edgy and Etude silver nail pen. Hope you enjoyed this one, dear readers! Merry Christmas to you alll! My love of manicures is not compatible with my chosen profession – nail polish is a no-no in the hospital. Sadly, this hasn’t stopped me from buying polish altogether but I do try to limit my purchases to what I really want. These beauties were the result of boredom/procrasination during study break, but I had had my eye on Faye, Rica and Adina for quite a while. Pandora is a new release from the Touch Collection. So far, I have worn Faye once, Rica twice and Adina twice. I haven’t been able to wear Pandora at all since it is now my mum’s favourite polish! These were all purchased on eBay, but you can buy them online in Australia at Art of Beauty. Beware: visiting this site may be injurious to your bank balance! I cannot get over how gorgeous this colour is!!! With every movement of my hand, the green duochrome flashes through the purple. I honestly can’t look away when I’m wearing this. It looks as awesome on the nail as it does in the bottle. This colour totally reminds me of the musical Wicked because of the green, and also because Adina is so close to ‘Idina’ Menzel. From the same shopping spree, I also purchased essie Super Bossa Nova, which I reviewed separately here. I picked these up at Ozsale for $7.99 each. So far, I’ve worn Knockout Pout (isn’t that a great name for a hot pink polish?) on my toes and Lollipop on my fingers. I didn’t realise how bright both Knockout Pout and Pink Parka were going to be. They look similar in the photos but Pink Parka is much more blue-toned than Knockout Pout. Lollipop is now my favourite red for the warmer months! essie polishes are available at Myer, but I prefer to buy online. The FACE SHOP is a Korean company that makes great skincare products. I especially love their cotton face masks – very soothing and luxurious. There is a FACE SHOP outlet in Perth (Piccadilly Arcade, Perth City). This is the first polish of theirs I’ve tried and I am very impressed. The FACEit polish cracked extremely quickly and was completely dry in 3 minutes. It dries to a matte finish which did cut down the wear time significantly. 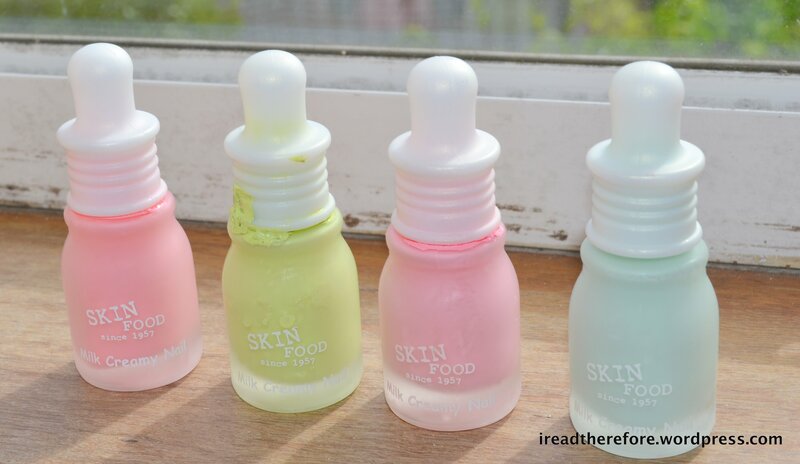 Skin Food is another great Korean skincare brand. Unfortunately it hasn’t come to Perth yet, but it is available in Singapore and Malaysia if you happen to be heading that way during the holidays. I strongly encourage you to check them out! These got a bit gunky from being in the pressurised baggage hold of the airplane. But before I say anymore, HOW ADORABLE ARE THOSE BOTTLES!!!!? Pastel shades in bottles shaped like baby milk bottles!!! I am totally in love with the colours from this company. 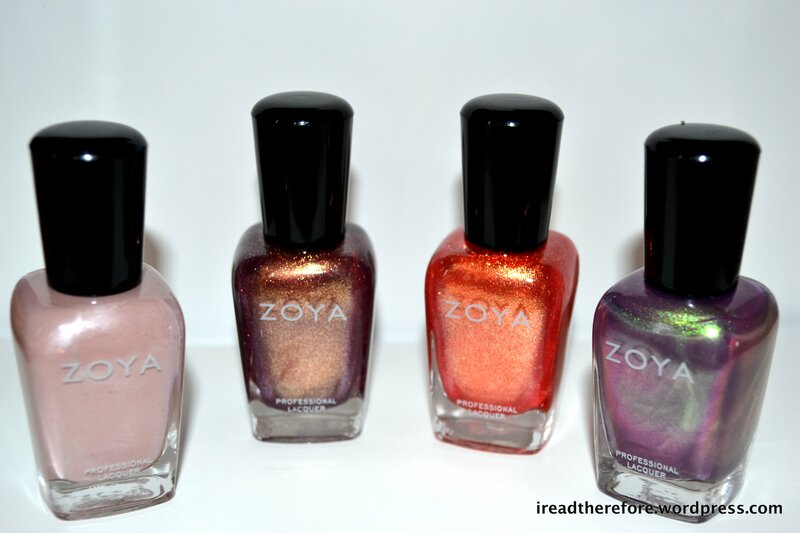 If you go to their website, you will be in nail heaven – they have soooo many to choose from! The Pedicure Sparkle and Nail Vita colours have great payoff. I haven’t had a chance to try the Party Tox polish yet, but it has chunky holographic glitter in the bottle so I am very excited!! 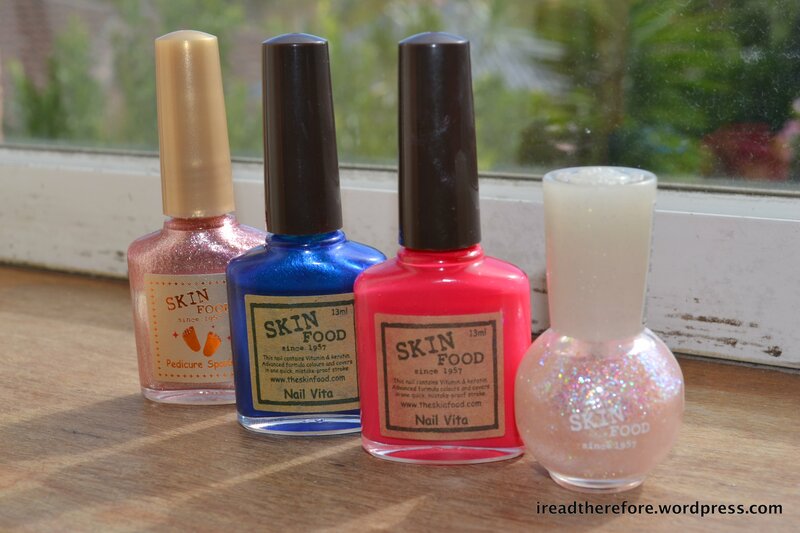 As for the Milk Creamy Nail polishes – so far, I have only used Peach Milk. You can see a swatch of it in my ‘Peaches and Lace’ Manicure post. The polish was streaky and hard to work with, and it tended to pool around my cuticles. I had to apply three coats before I got full opacity. I got some fimo foam nail appliques off eBay as well. These were dirt cheap – each packet was $1.50 including shipping. I haven’t had much opportunity to use these yet. I got fruit, flowers and bow appliques. 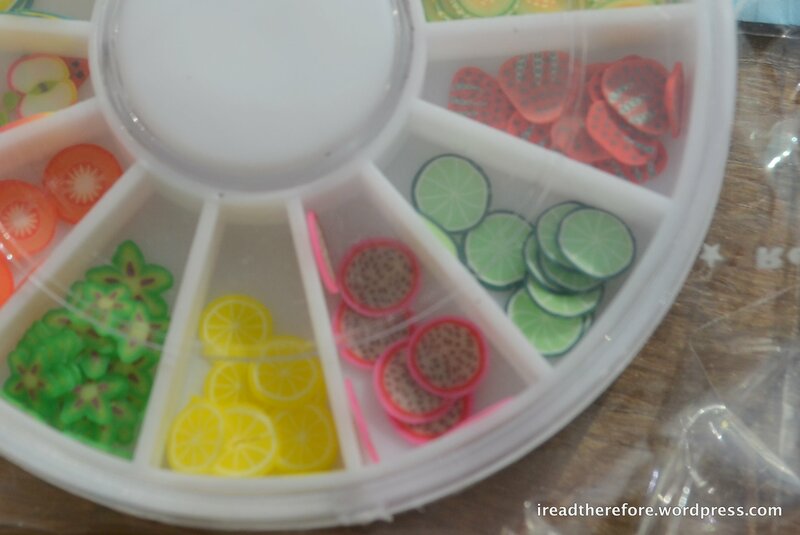 These come in a plastic wheel with a clear cover and separate wells for each design. Each packet comes with approximately 10 x 12 appliques. Close up of the fruits! Lastly, I have a couple of non-nail related products that also come from Korea! Both are quite an overload of cuteness. 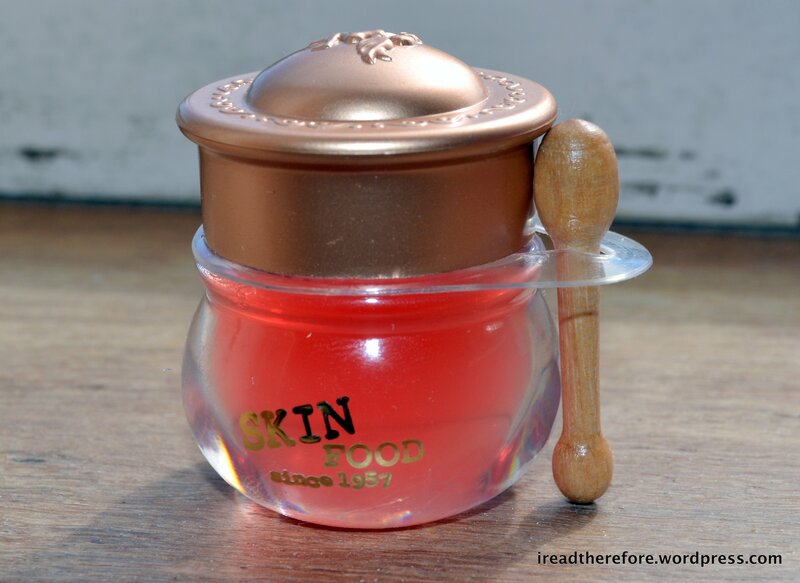 This is a lip balm by Skin Food in the shape of a honey pot!! It comes with a little wooden applicator. I was expecting the balm to be quite sticky but it is surprisingly smooth and applies very nicely, and feels hydrating. It is just too adorable for words. Lastly, this little cutie is by a Korean company called Etude. I thought it was another lip balm at first, but it’s actually an eyeshadow duo! The container is made of metal and shaped like a cupcake covered with sprinkles. 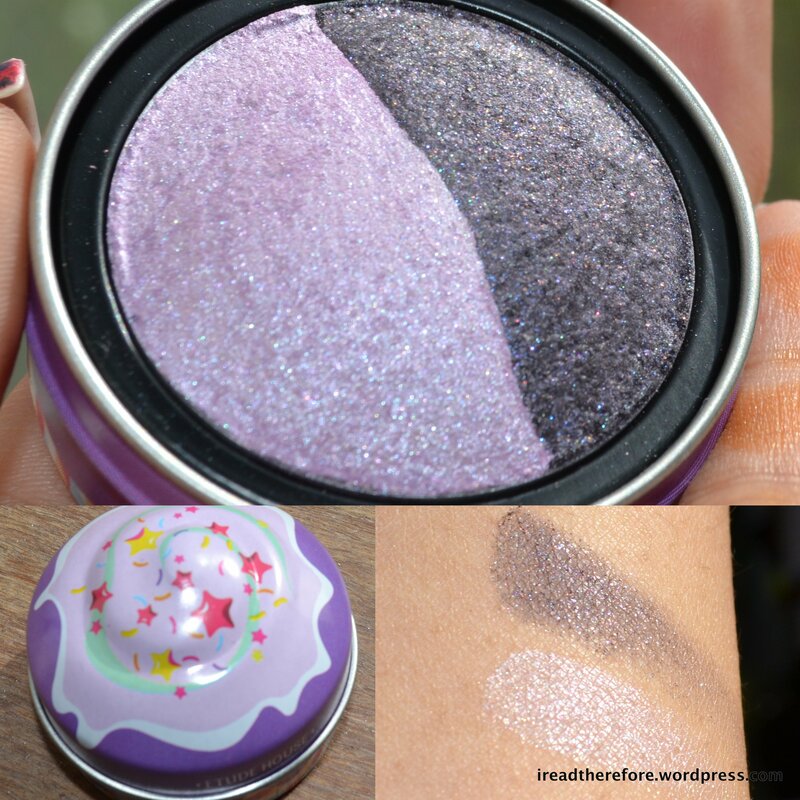 The two shades are a shimmery lilac and black with red and purple glitter. They swatch quite sheer but can be built up quite well. This is a great little thing to carry around if you need a makeup look on the go – probably the smallest compact I have! Phew! That was a lot of hauling! The Korean merch was kindly given to me by my boyfriend’s sister – thank you soooo much for the amazing Christmas presents! The other stuff was impulse purchasing…but there are no regrets! As you’re reading this, I’m sitting in a plane heading off to India for a three-week long vacation. Stay tuned for more posts on my travels (including a wedding, lots of food and maybe a tiger or two…). 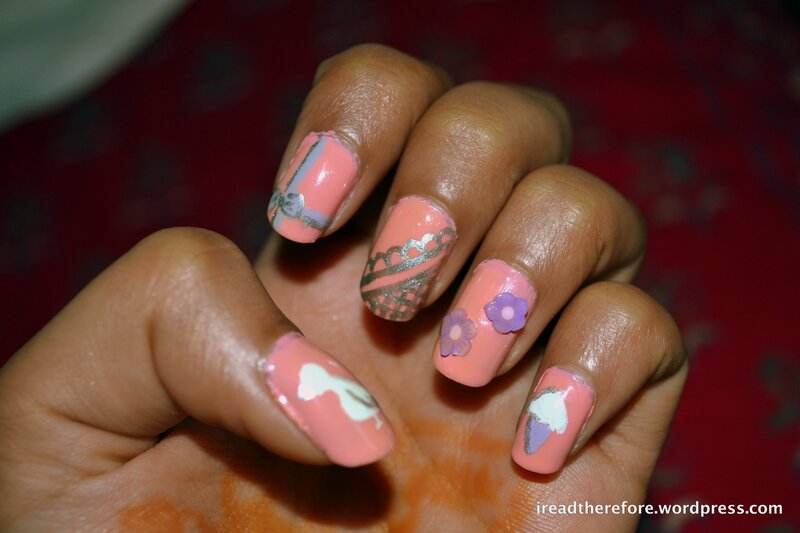 This is a very girly, cute manicure that I did to celebrate holidays, summer, and the recent engagement of a close friend! Apologies for the truly poor job with tidying up the sides of the polish (I didn’t realise that I hadn’t cleaned it up before I took these photos and ran out the door). Apply a base coat and 2-3 coats of a pale peach base colour. Thumb: Use an opaque white polish to draw a bird (this was a bit of a fail :P). Use a dotting tool to make the bird’s head. Use a fine tipped brush to draw the rest of the body. Use a silver polish to add details such as feathers and a beak. Index: Decide where you want your bow to be and use a dotting tool to create the bow’s knot. Draw two triangles on either side to create the bow. 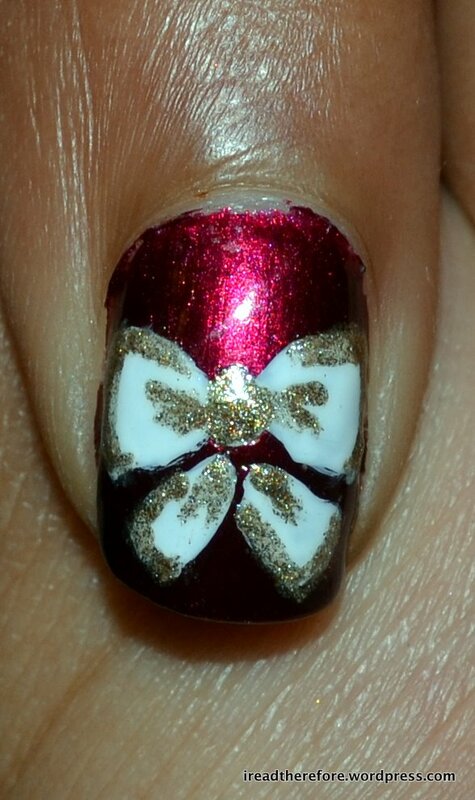 Use a fine brush to draw the ribbon using the same colour polish. I used a pastel lilac colour. Middle: Use a fine tipped brush to create a diagonal lace design. Draw two parallel lines diagonally across the nail. 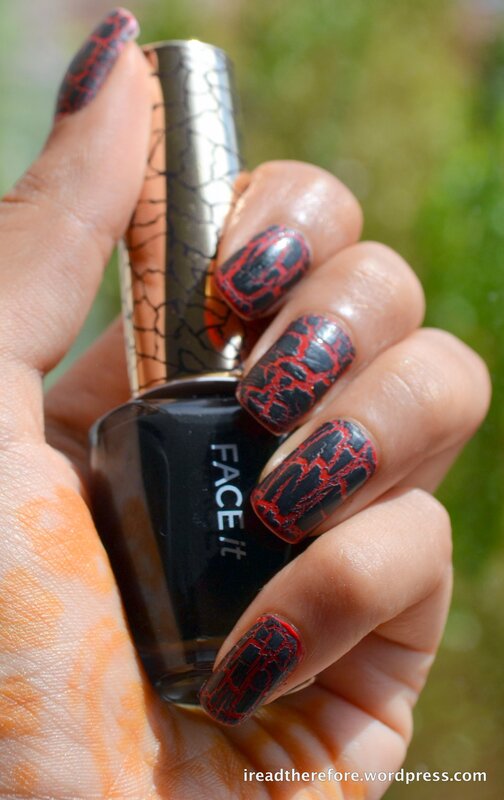 On the side closer to the edge of your nails, draw a criss-cross design. On the far side draw small ‘c’ shapes for the lace edge. 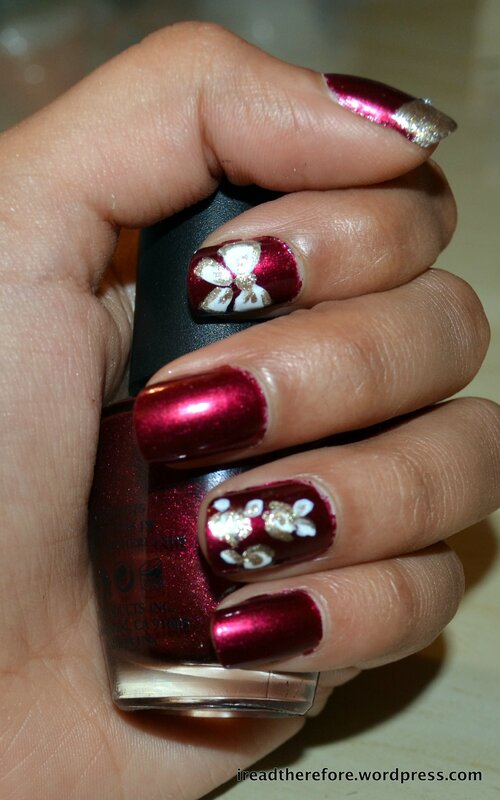 Ring: Carefully apply two flower fimo nail appliques on slightly wet polish. Finish with a clear coat of top coat. 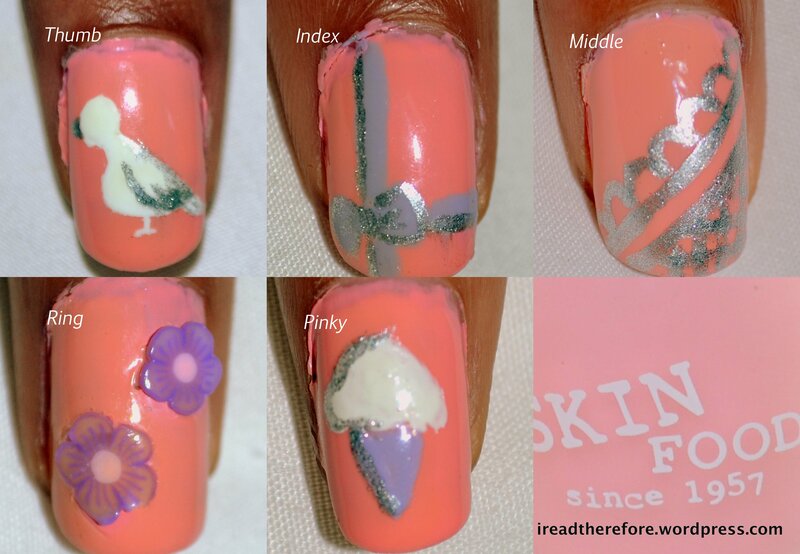 Pinky: Use a fine brush to draw and fill in a triangle for the ice cream cone. Use opaque white for the ice cream scoop. Use silver polish to add detail. For this mani, I used Skin Food’s Milky Colour Polish in Peach Milk for the base colour, along with essie Blanc, Lilacism and Bloom Miranda. Hope you enjoyed this one! My new favourite colour for summer! Essie’s Super Bossa Nova is a hot pink that glows – it looks like pink fire!!! The shade is an opaque hot pink with fine fuchsia microglitter. I can’t imagine this shade not looking great on anyone. Super Bossa Nova is part of essie’s summer 2011 Braziliant collection – hopefully it will be available in Australia soon (I bought mine online)! I encourage you to go check this shade out! Essie products are available at Myer. I couldn’t think of a better name for this manicure, but it is super cute!!! 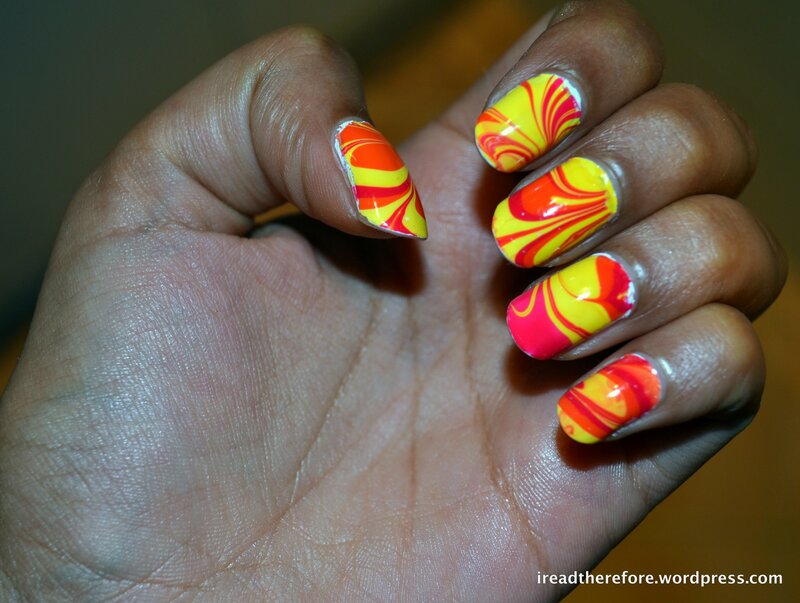 Apply a base coat to prevent staining, adhere the polish to your nails and fill in ridges. I used Essie’s First Base. 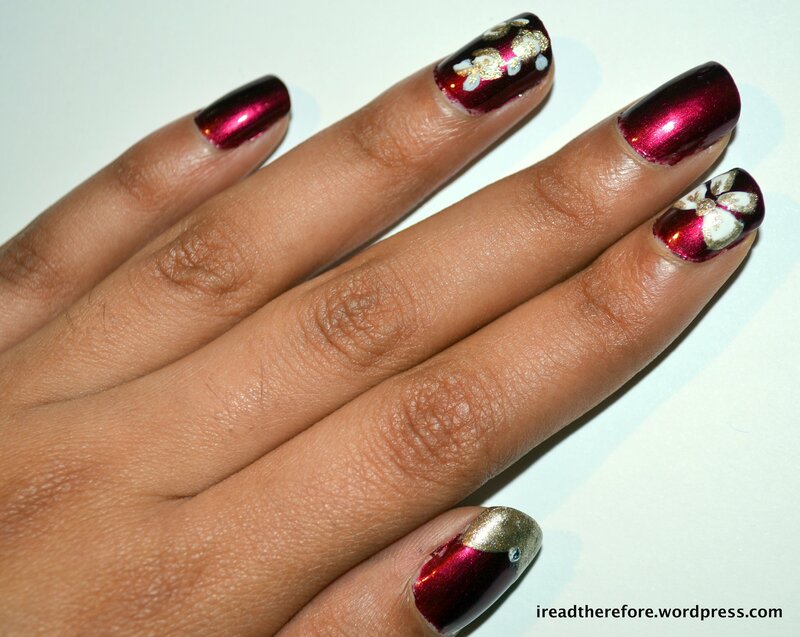 Apply a shimmering claret red polish in thin even coats. I used 2 coats of OPI Bogota Blackberry (my favourite red!). 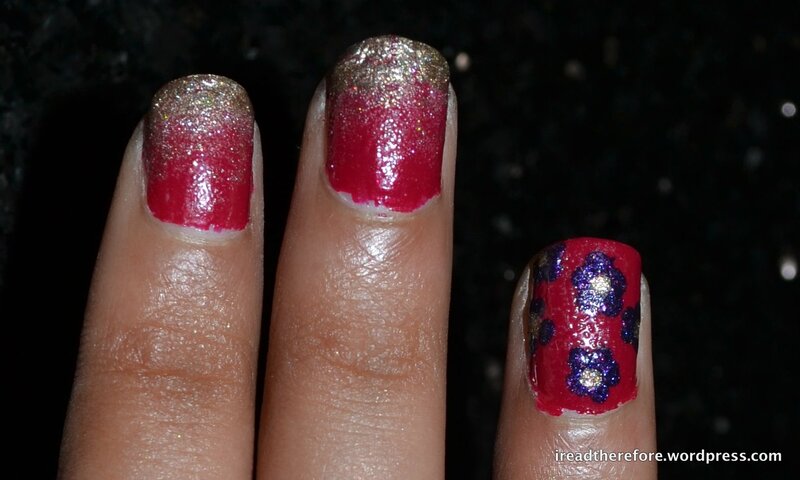 Thumb: Apply a shimmering pale gold polish in a V-shape from the top of the nail (I used OPI Glitzerland). 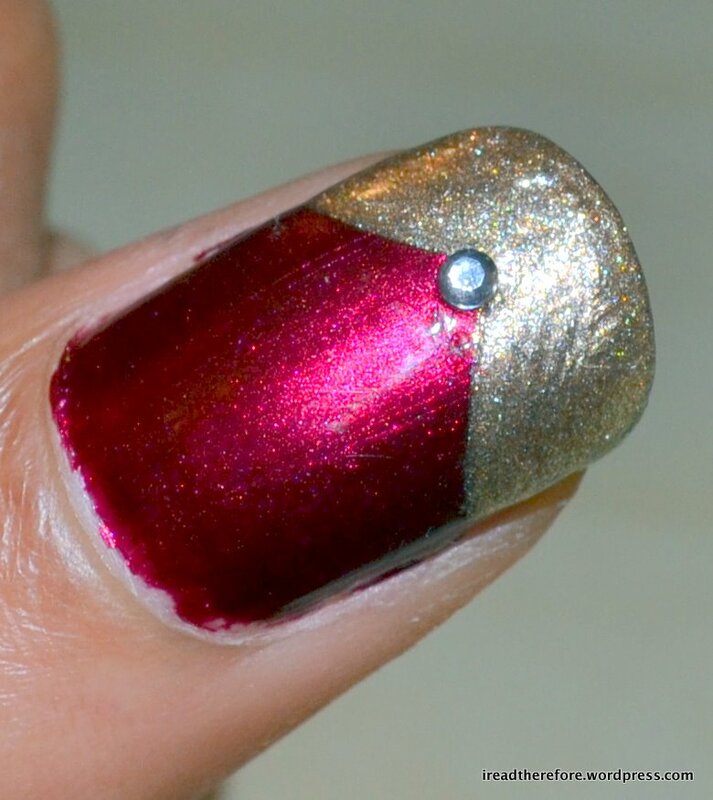 Then add a small nail diamante while the polish is still wet. Index: Using a dotting tool, make a dot in the middle of the nail with opaque white polish (I used Essie Blanc). Draw 2 triangles on each side of the dot and fill them in to create a bow. Add smaller triangles underneath to create the tassels of the bow. Then using the same gold colour as before and a fine-tipped brush, paint on the details of the bow. Ring: I created white roses using the technique shown in Cutepolish’s video – click here to see how. I used Essie Blanc and OPI Glitzerland again. Finish with a basecoat to seal your design. I used Essie Good to Go. The thing with these types of manicures is not to stress too much about the detail – no one is going to look that closely at your nails. I just looooove this manicure!! But by the time you’re reading this, I’ll probably have another manicure that I love! Hope you try this one out – its not that difficult and if you have holidays, why not give yourself an excuse to lounge about for 20-40 mins while your polish dries? Essie products are available from Myer, OPI products are available from David Jones. After finally finishing exams, I decided to kick back and relax…so naturally I turned to painting my nails! This manicure was partly inspired by spring, and partly by my desire to try out the gradient effect on my nails. Following a base coat, I used Bloom’s Audrey for my background colour (2 coats). 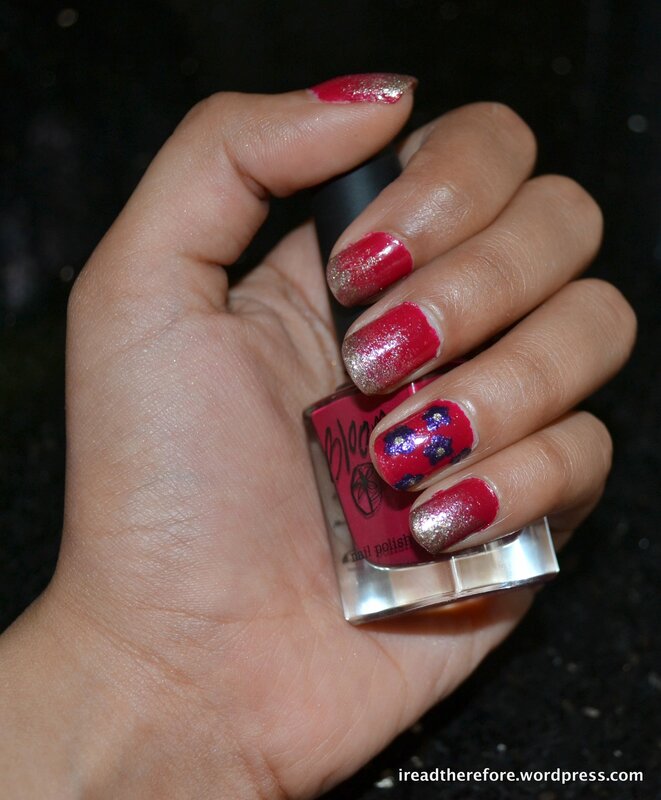 I then sponged on OPI Glitzerland onto the thumb, index, middle and pinky fingers using a wedge-shaped cosmetic sponge. 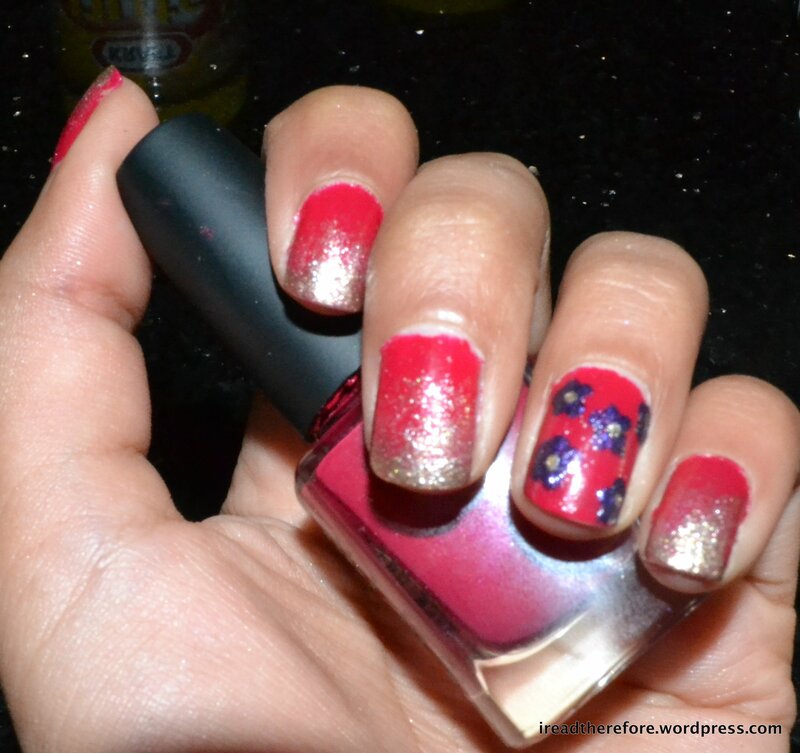 The ring finger design was made using a dotting tool, Rimmel ’60 Seconds’ in 610 Pompous for the petals, and OPI Glitzerland for the flowers’ centres. Then, I applied a basecoat to seal the design. Here’s another view of the nails. For the first attempt, I’m pleased with how the gradient effect turned out (although I had to redo a couple of nails from scratch). 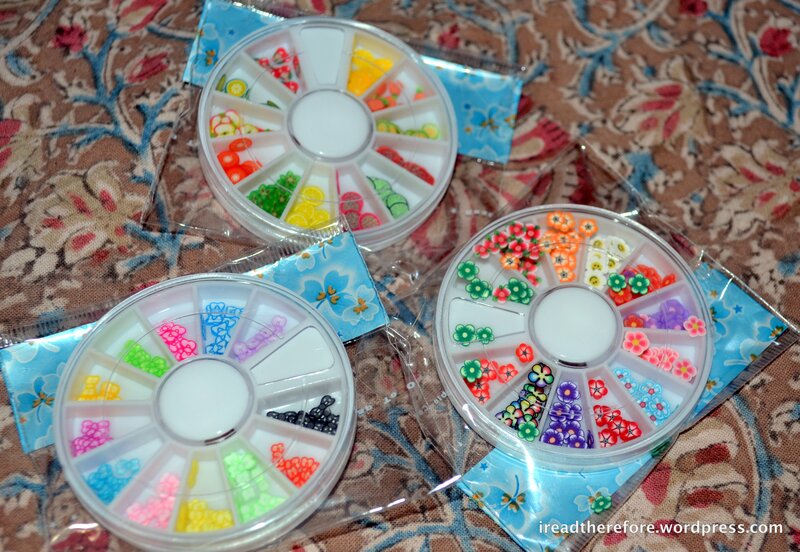 I can’t wait to try it out again using different colour combinations! 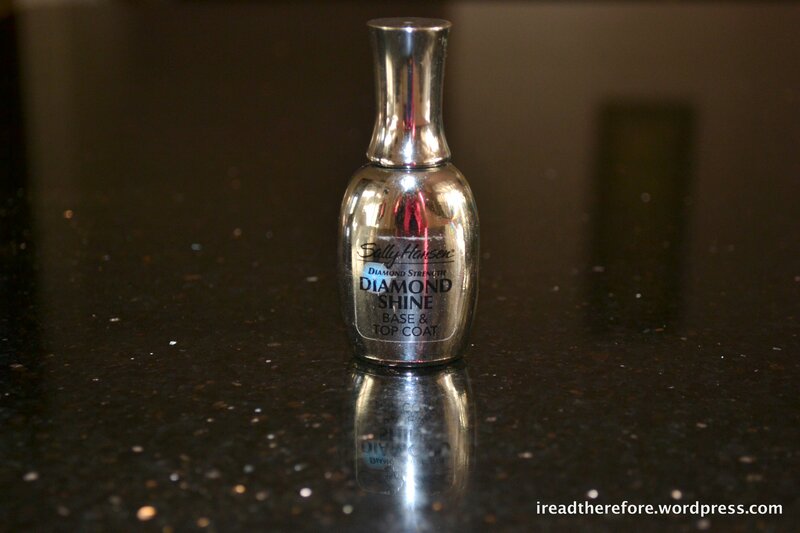 Sally Hansen Diamond Shine Base & Top Coat – one of the few beauty items I have ever bought without reading the reviews. I turned to it after a bad experience with OPI’s top coats. This is the WORST topcoat I have ever tried. Its extremely thick (I needed to thin it out after the 3rd use) and it bubbles insanely. It takes hours and hours to dry completely – I have applied this at 4pm and woken up the next morning with smudge marks! The bubbles are so clustered that they are distorting the design on the nail! It looks even worse in person because the bubbles reflect so much light. I have tried everything to reduce the amount of bubbling, but after reading reviews on the product, it seems to be the formula at fault rather than my application. So after reading some reviews, I decided to dispose of the evil Sally Hansen bottle and went back to my favourite nail brand Essie (LOVE their Matte About You topcoat). 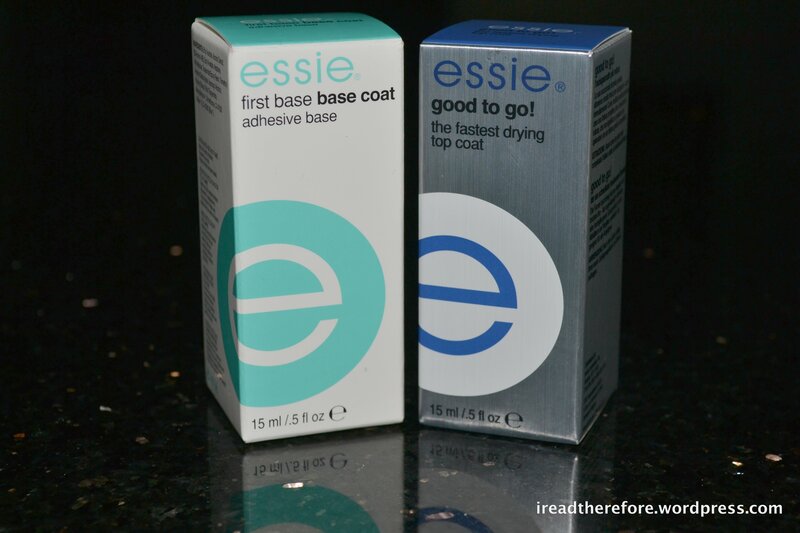 The First Base base coat retails for AUD19.95 and the Good to Go top coat retails for AUD21.95. 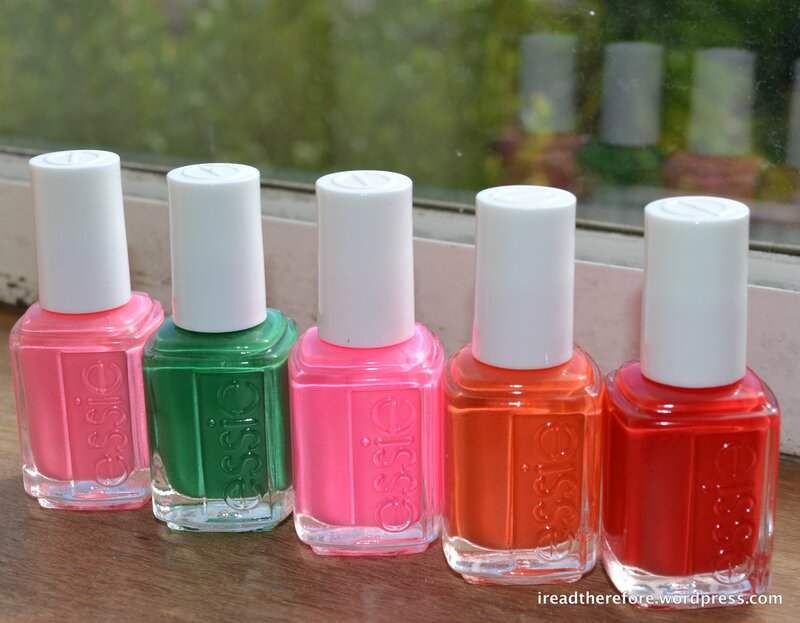 Essie products are available from Myer. I’m looking forward to a summer of relaxation, creative expression, new adventures, family & friends, and getting back to the things I love. Stay tuned for more beauty related goodness AND more book reviews coming really soon!! !